A field of 44 riders were treated to ideal racing conditions in the Cruickshank Pryde sponsored graded handicap race on the Woodstock circuit and a solid pace from the outset by the two front groups, made the chase from the following two bunches a difficult one. 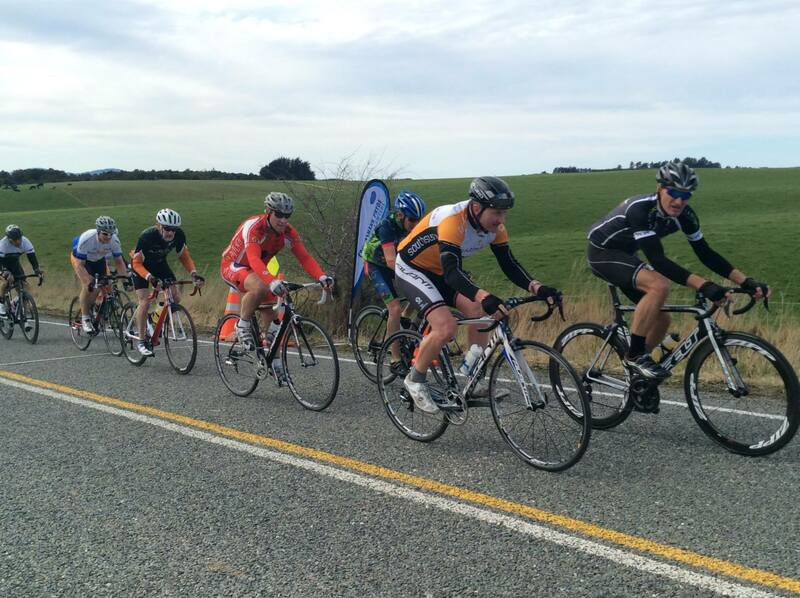 With half of the 81km distance covered, the front two bunches had combined and solid work at the head of the peloton by Beadle, Wally Kopae, Shane Fletcher and Craig Sadlier, ensured a steady momentum but the overall lead was being quickly eroded by the chasing bunches. Coming to the final stages of the event and with the chasing bunches getting closer, the lead changed hands repeatedly but the experience of Dave Beadle came to the fore as he charged to the lead and held on to take a narrow win from Wally Kopae with Shane Fletcher finishing in third place, narrowly ahead of the fast finishing scratch bunches.